With a surge in extending family entertainment into outdoor living spaces, World Class Outdoor Lighting has transformed average-looking backyards into gorgeous backyard retreats. The World Class difference: the company takes special care to make sure that your outdoor living space and entire outdoor lighting project reflects your own personal style. World Class Outdoor Lighting has been making Southeastern Wisconsin area homes and businesses more attractive, inviting and enjoyable for more than 15 years, and now they have come to the Madison, Middleton, Verona, Fitchburg, Sun Prairie, Monona, McFarland, and surrounding areas. This recent craze to extend family living spaces into the backyard isn’t the only change they’ve seen. New product enhancements that extend the life of lighting fixtures, lamp and technology improvements to the timing aspect make outdoor lighting even more attractive than ever. Lighting your home adds a whole new look to your home at night. 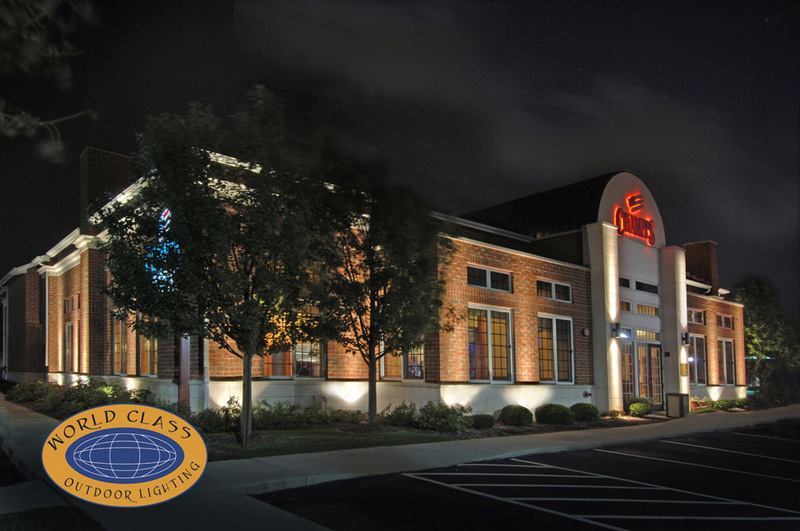 World Class Outdoor Lighting has designed and installed architectural lighting around thousands of homes and businesses. 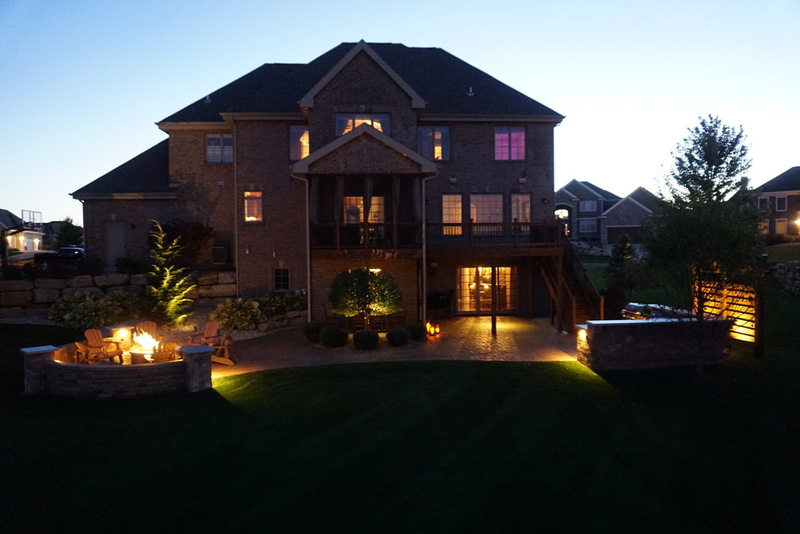 They utilize the features of the property to make it look even more appealing at night. Not only do their designs add beauty to your home or business, they also act as great security lighting as well. And for prospective clients, World Class Outdoor Lighting offers something new. Simply send Angela an email at angela@worldclassoutdoorlighting.com and include of a photo of your property during the day. She will send back an evening picture with outdoor lighting added so you can get the feel of what your home or business can – and will – look like. Another important tip from the experts at World Class Outdoor Lighting is to use the best quality fixtures you can afford. “The fixtures we use will last for years and, in most cases, outlive the landscaping,” Angela says. With easy access to DIY mega-stores, homeowners often make the mistake of buying the least expensive product and installing it themselves. A lot of business comes our way to fix what homeowners tried to do themselves or because they hired a contractor without the expertise we have,” explains Angela. They don’t end up with the effect they were looking for because either the fixture is cheap or the placement is ineffective. “The lack of a designer’s eye can actually make your home look worse,” states Angela. Simply stated, “Thirty-eight percent of our business comes from redoing other people’s work,” Angela adds. Just as important as having the creative designer’s eye is the installation itself.World Class Outdoor Lighting, in most cases, provides its own 20-amp dedicated circuit giving reliable and hassle-free service to the lighting. Installation is usually completed in a day or two, depending on the size of the project. Precise care is taken to not disturb any existing landscape, ensuring that the plantings and lawn look virtually untouched. World Class Outdoor Lighting also works with other local businesses in the installation process. For example, Angela works with J&K Security, for those who would prefer to control their lights from their phones, or with Ganshert Nursery & Landscapes and Ageless Concrete, when more than lighting is desired. It’s not uncommon for World Class Outdoor Lighting to drive by throughout the season after a project is completed. As shrubs grow and tree girths expand, it can change the effect of the lighting. A quick snip of a short branch or adjustment of a fixture can make all the difference. That’s the extra attention to detail and customer service Angela wants to make sure her customers understand. Our contractors don’t just install and move on to the next project. They are with you throughout the life of the lighting. With easy, affordable maintenance, the beautiful lighting you’ve invested in will continue to bring the curb appeal and value to your home. If a fixture is disturbed, they fix it. If a bulb burns out, they replace it. And with their convenient drive-bys to make sure everything looks great like it did the day it was installed, the customers often don’t even realize that a bulb was out and replaced.World Class Outdoor Lighting has already taken care of it. Article written by Kris Risch and featured in the Sun Prairie Neighbors publication.